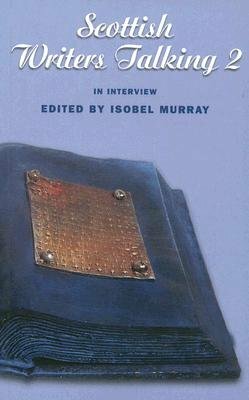 These long interviews with very different Scottish writers do not aim at the topical, but to produce a thoughtful window on each writer's mind and work. Recorded at intervals over 16 years, they go at the writer's chosen pace. Writers relish them. Naomi Mitchison had not met anyone who'd read so much of her work for many years, and she enjoyed the discussion. Iain Crichton Smith incorporated the conversation seamlessly into his ceaseless exploration of life, art, beliefs and poetry. Bernard MacLaverty was his endlessly amusing self, causing interviewer hilarity while giving a reasonably serious account of his writing career which will fascinate readers of his latet novel, "The Anatomy School", though the interview was many years ago. Iain Banks told of a young writer coming to publication, from the shadow of the Forth Bridge to frustrations in London, but at last to "The Wasp Factory", and Alan Spence was entertaining and enlightening as well as funny on subjects from his boyhood in Govan and his introduction to meditation, to his work for the theatre.